The best part is that the Latticed Bead Necklace is totally affordable at only $16.99 (plus $30% off online through Sunday, July 8th!). Oh, and it comes in a beautiful coral hue too! 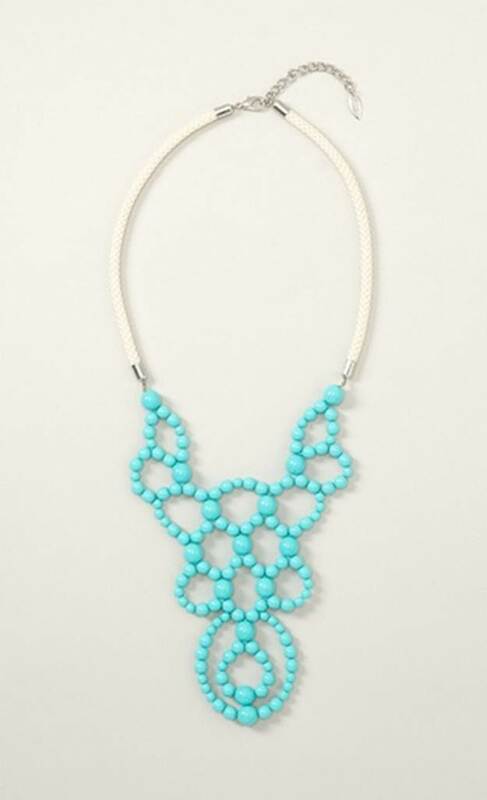 Brightly colored bubble bib necklaces are super popular right now - I've seen them all over fashion blogs, Pinterest, and on retail websites. They're often pretty pricey - the one below is a whopping $150 at J. Crew. 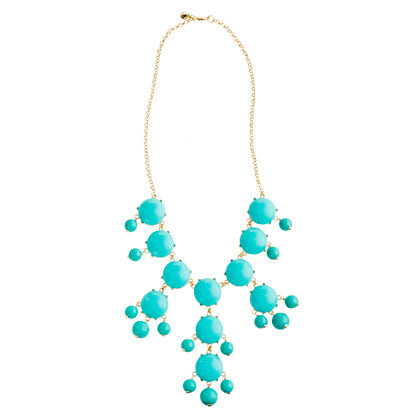 To be honest I like the more affordable Coldwater Creek necklace better because it has the rope-like section around the top and looks a bit more casual. I think it would be so adorable with a white button-down and jeans. What do you think? A good Friday Fashion Find?